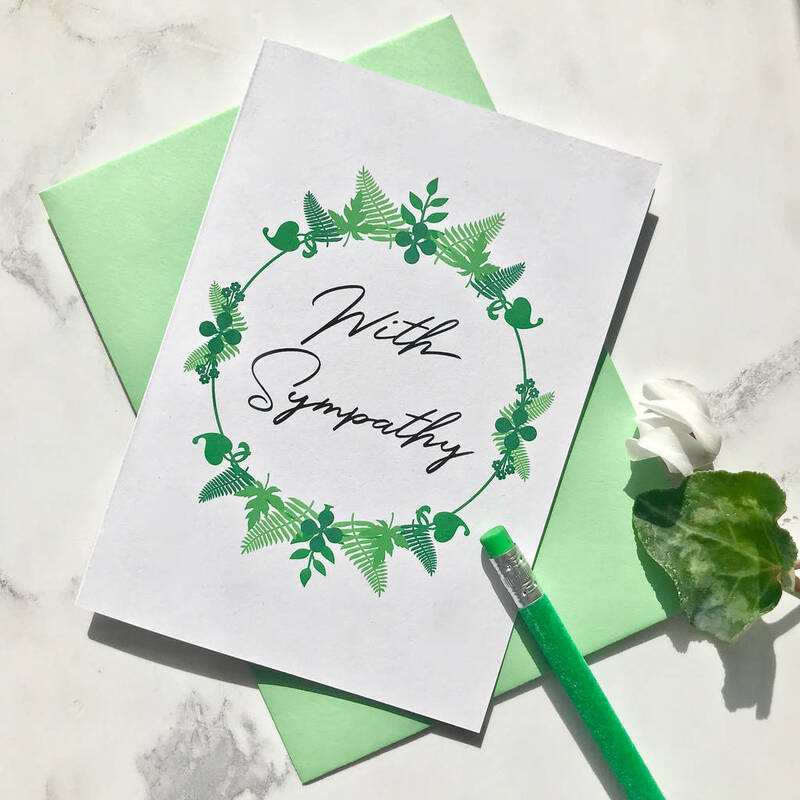 A tasteful sympathy card featuring a green foliage wreath illustration. It's printed on white recycled card and is A6 size (10.5cm by 14.5cm). 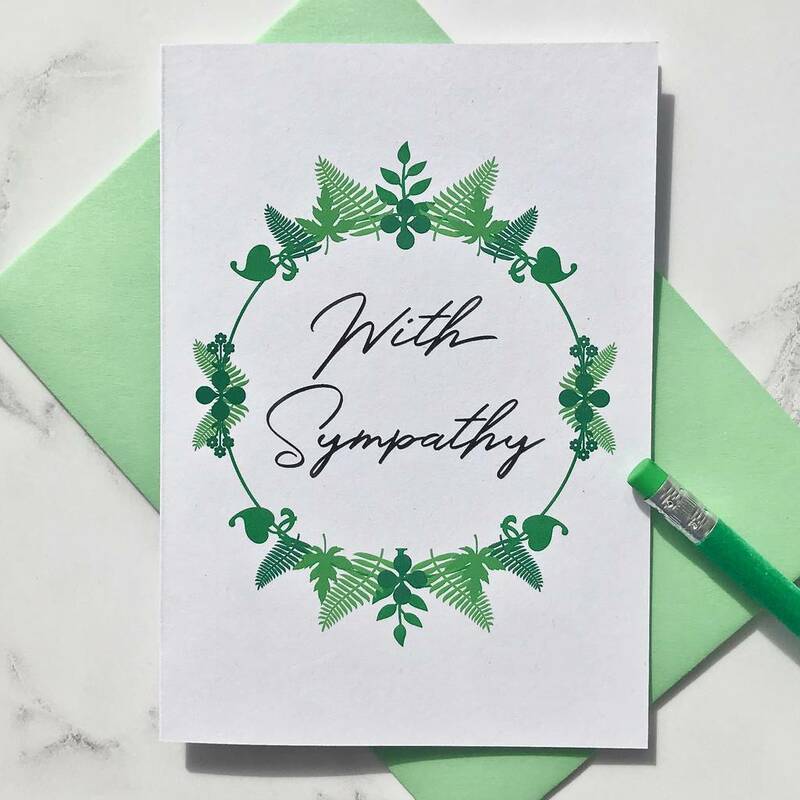 It comes with a good quality coloured envelope and will be well-packaged in recycled / eco friendly materials to ensure it arrives in perfect condition.